Every time a show you love is cancelled, you can’t help but spent at least a little time dwelling on the episodes, storylines, and adventures you missed out on. We lost a number of promising sci-fi shows recently as the TV season came to a close and the networks trimmed those programs that didn’t quite live up to expectations, like Almost Human, Believe, Revolution (oddly enough, all three of those featured J.J. Abrams as part of their creative teams), and The Tomorrow People. NBC also finally axed their embattled sitcom Community after years on the brink, and while it isn’t exactly science fiction, it always had an affinity for the genre, and even garnered a Nebula Award nomination. Now we’re left wondering what could have been, including what sounds like an incredible Back to the Future-themed episode we’re hearing about. 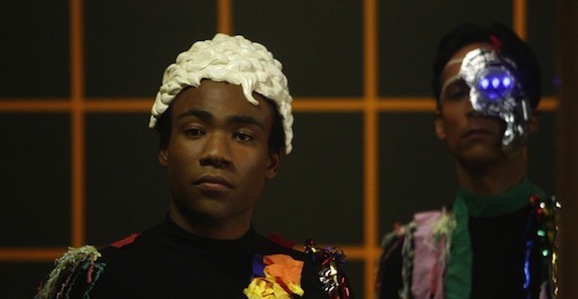 Cast member Donald Glover, who actually left the critically-acclaimed show in the midst of the final season, had long pushed for a BTTF episode, though time and circumstances conspired to keep it on the drawing board. Though the concept was in place, the writers had a difficult time cracking the logistics of the episode. Still, these are the same people who delivered zombie apocalypse that no one remembers, multiple timelines, and Chevy Chase dressed up like Beastmaster, so I have faith they could have come up with a solution given the proper resources. I remember Donald always kept trying to figure out how we could do a Back to the Future episode without magic, and I don’t think he ever cracked it. But that was sort of a goal for a while. But we couldn’t have actual magic. We tried to not have — well, maybe we got away from that — did we have magic on the show? I don’t know! It’s hard to tell sometimes! [Laughs] Multiple timelines — is that magic? Or is that just, like, advanced science?… I wish Donald had figured out how to do that Back to the Future episode that never happened. With Glover’s departure, it doesn’t sound like the push for such an episode would have continued, and even if there was another champion for Back to the Future on the staff, this probably wasn’t destined to happen. Time travel is a hard one, they probably would have just gone with another paintball episode rehash instead. Still, it’s fun to think about what might have happened. 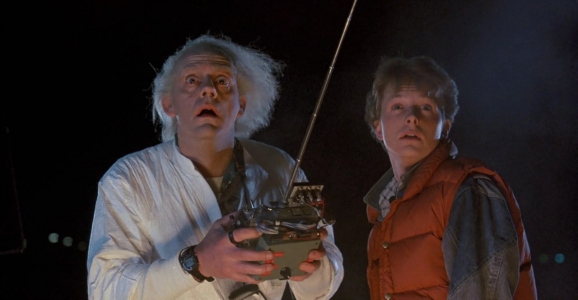 Perhaps in one of the alternate timelines Troy, Abed, and the gang are living out this adventure, rolling through history in a modified DeLorean with their mad scientist friend in tow.